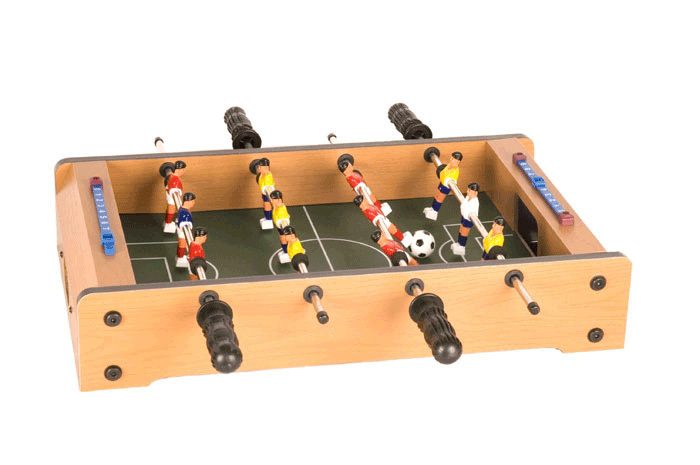 Play mini foosball anywhere at any time with this beautiful portable mini tabletop. The set is designed to be the perfect size for the space concious. Includes foosballs, ball returns at opposite ends, scoring barsa and center ball slots. This is the perfect item for those who want to play in the convenience of their own home without taking up too much space. The table measures 20” x 12-1/2” x 3-1/8”.